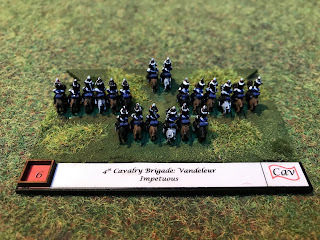 Continuing with the next unit of the Anglo-Allied Cavalry Corps for the 1815 100 Days Campaign is the 4th Cavalry Brigade, commanded by Major-General Sir John Vandeleur. This was made up of the 11th, 12th and 16th Light Dragoon regiments. 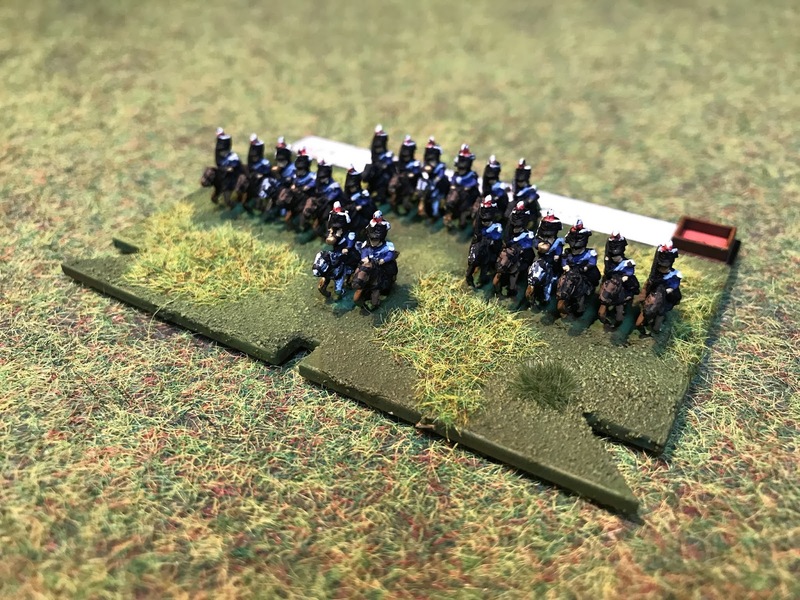 This unit was used to cover the withdrawal of the Union Brigade and charged Pégot's brigade during the action. 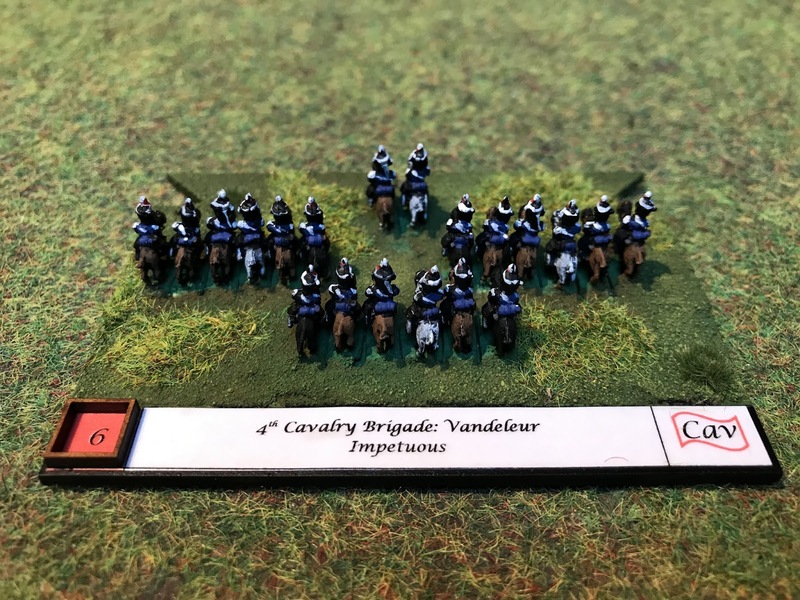 Vandeleur was a senior cavalry general and as such he took control of the entire Cavalry Corps when Uxbridge was wounded in the evening of the 18th. The brigade suffered 23% losses during Waterloo and two of the three regimental commanders were also wounded (Lt-Col Hon F.C. Ponsonby commanding 12th and Lt-Col J Hay commander of the 16th). Most of these casualties occurred during the advance against the French rearguards. Nicely done. But no flags? Thanks Peter, no, I've been told by a cavalry historian that as a rule the cavalry didn't carry their pennants into battle with them. You learn something everyday. But I think it looks better with. Thanks' for the info. 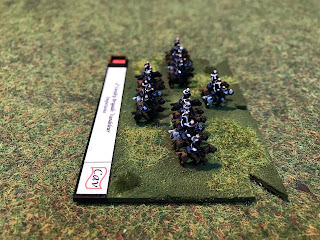 I think a lot of wargamers agree with you, as do I, but realism and wargaming don't always go together! Usually the prettiest option wins out!